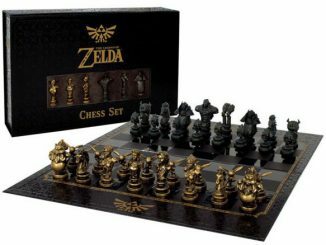 I bet a lot of GeekAlert fans are chess players; and if you’re not, I got something that may change your mind. 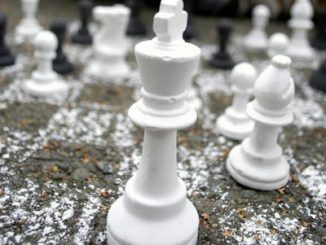 The Star Wars Chess Set from Gentle Giant is due to be released around April 2012 and it has all the makings of a very collectible set. First off, it’s Star Wars with all the classic figures and ships like: Darth Vader, Boba Fett, Han Solo, C3-PO, R2-D2, and more. 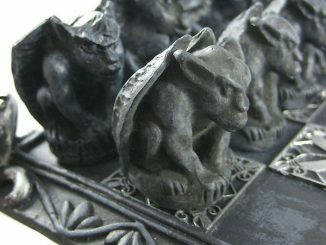 Next, just look at the actual design. 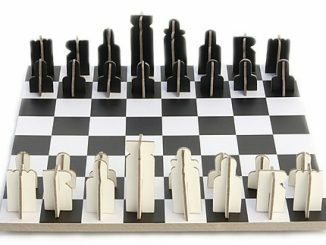 This chess set is like nothing else you’ll find out there. 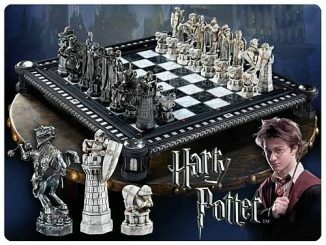 The chess pieces are made from pewter and finished in luxurious silver and gold. 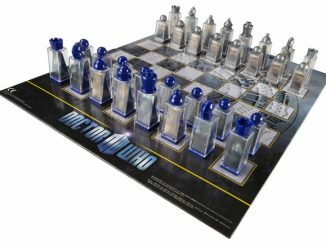 The chess board is constructed of MDF and polyresin and has glass etched top with Death Star imagery on it. 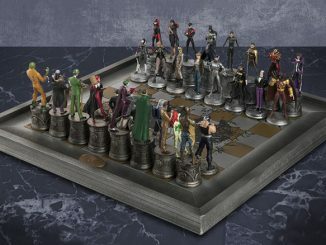 I’m not sure how many they are going to release, so you better think about pre-ordering it if you want one. 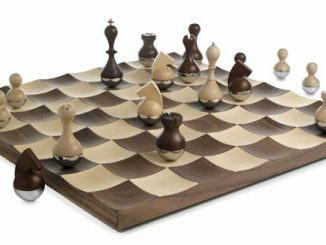 When you aren’t enjoying a game of chess with friends, the chess board has a slide out drawer to protect all 32 custom pieces. 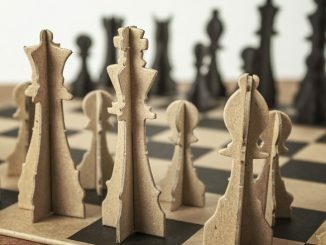 Personally, I think I would like to leave the pieces out on the set, but if you have little kids or crazy pets, I understand the need to put them away. 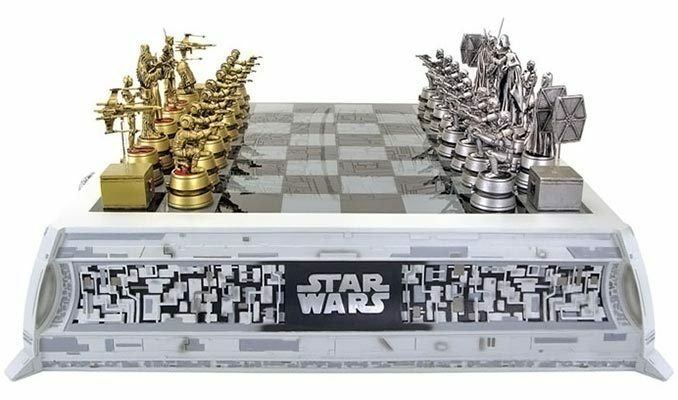 Based on the original trilogy! Jedi Knight or Imperial might! 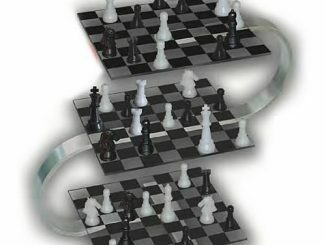 You decide in this classic game of strategy and skill! You can command the Empire’s naval fleet or fight back with Luke, Leia and the rag tag rebellion. 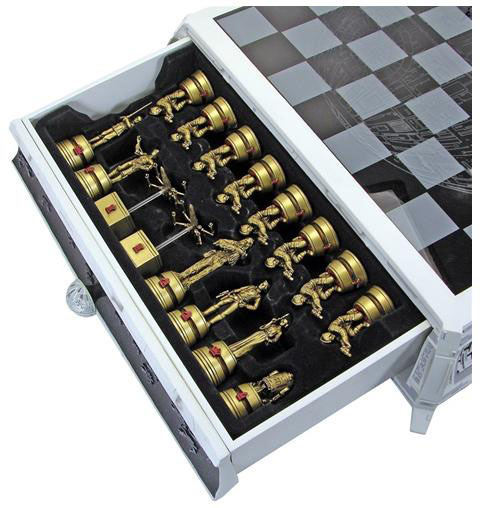 This high quality chess board comes with 32 collectible pewter figures, in luxurious silver and gold finishes. Represented are many of the key characters in the Star Wars universe; Darth Vader, Boba Fett, Han Solo, C-3PO, R2-D2 and more. 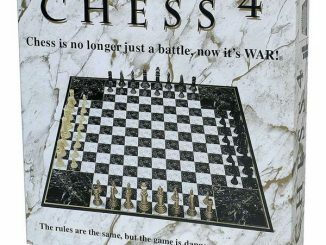 The game board itself features a glass etched top with Death Star imagery. 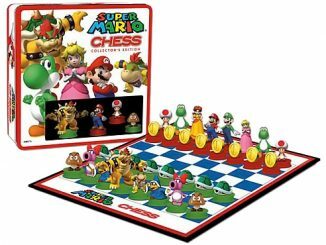 The board casing is constructed of durable MDF and polyresin and includes a convenient slide out drawer for storing all 32 pieces when not in use. 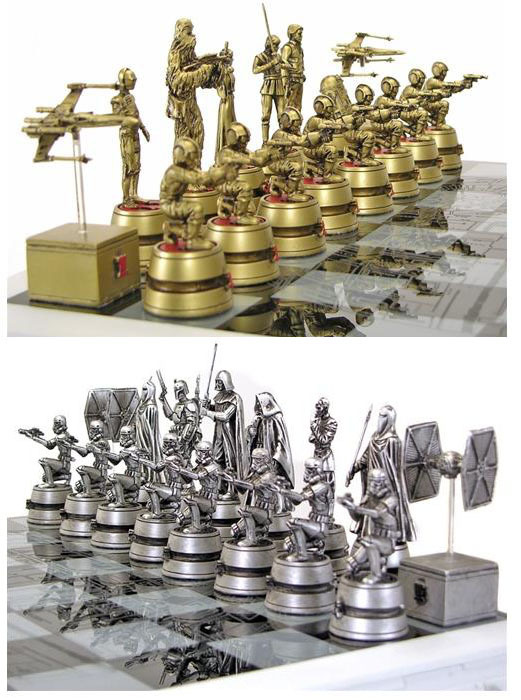 You can per-order your Star Wars Chess Set at Entertainment Earth for $599.99, at Urban Collector for $600 and at Gentle Giant for $600. Who is the other bishop opposite Boba Fett on the dark side?? It says based on the original trilogy, the pose is very reminiscent of Moff Tarkin though so it could be him. My guess is that it is Grand Moff Tarkin, but it is so hard to tell from the picture. It seems like the set is based on the original trilogy, which is why I don’t think it is Darth Maul.